‘L’Enfant Terrible at Henley: “Oh! nurse, look at his little trousers”’. “The Sketch”, 12 July 1893. When legs were loudly appreciated at Putney. 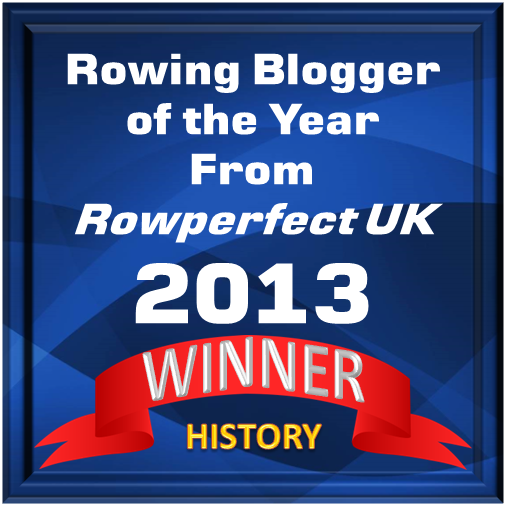 There has already been written too much about James Cracknell, who is the oldest man to row (and win) The Boat Race. With these articles on Cracknell also came photographs of the sporty 46-year-old, firing off a smile towards the cameras. He looks terribly fit and healthy – so, good on him. However, I found it relieving to read and see Tim Koch’s article on Tuesday, 9 April, “Boat Race Day 2019: Who said what and plus ça change” where Cracknell was mentioned, but the photograph of him showed his knees‽ In the caption of the photograph, Tim explained his choice of image, ‘To balance out all the pictures of his rugged good looks, here is a shot of his 46-year-old knees (which, it must be admitted, did some remarkable work).’ Well, fair enough, I think. 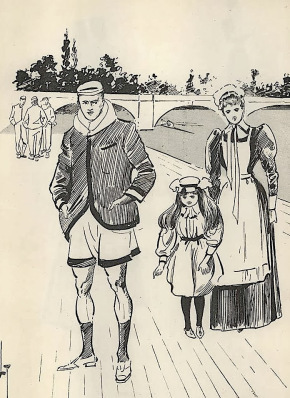 For a long time there has been a fascination with rowers’ legs and knees, and not just men captivated by those of women, which I, myself, have been guilty of at least at two occasions on HTBS, here and here. Tim, on the other hand, has stuck to talking about men’s legs, for example Wally Kinnear’s – and in Cracknell’s case, his knees – and men’s other body parts. 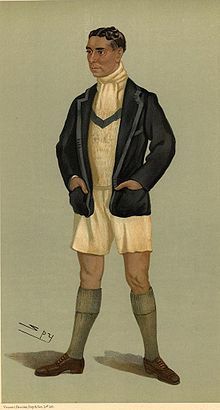 It was when I did research for a HTBS article on oarsmen in shorts in Vanity Fair, “Showing some legs” (7 February 2014), that I came across a now 120-year-old remark on an oarsman’s knees and legs. Picture proof on the right.